I haven’t seen many Intel Braswell NAS reviews, it’s great that they are starting to come out. At just about this time last year, many vendors were rolling out their products based on the new Bay Trail platform from Intel. With many of those products ushering in a new generation of performance that further pushed the uptick in power efficiency for NAS solutions, we now have the next evolution of the NAS platform as Braswell has emerged, and Bay Trail D takes a back seat. If you were to take a look at the new 6000 series of appliances from Asustor, you wouldn’t think anything has changed. This new run of devices uses the same shell that we found on the entire 5000 series that stretches back a number of years. 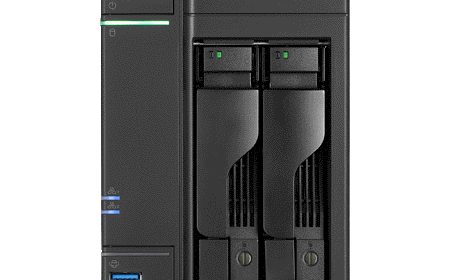 Where you will find change is internal, with the heart of the appliance and for the AS6202T that starts with the Intel Celeron N3150. If you read marketing materials, Asustor would have surely let you know that they were first to market with the new Intel Braswell silicon, and while we weren’t the first tech based website to post a review of this hardware, we have had it in the lab for a little while. In fact, we have had this particular appliance on the bench for the last month at least, testing several revisions of firmware.